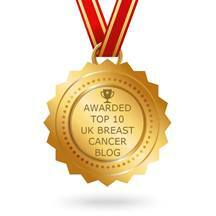 Hello and welcome to the The BRiC Centre (Building Resilience in Breast Cancer) Blog! The Centre was established on October 2, 2015 by Professor Naz Derakshan who also directs the Laboratory for Research into Risk and Resilience in Psychopathology and Well-being at Birkbeck University of London, UK, see: http://www.bbk.ac.uk/psychology/our-staff/academic/naz-derakhshan/naz-derakhshan. The Centre currently has two deputy heads, Tamsin Sargeant and Vicky Wilkes and four ambassadors, Anita Traynor, Jenny Richards, Jan Snape and Caroline Humber. We have a public facebook page at www.facebook.com/resilienceinbreastcancer where we publish news about recent research developments. We promote ongoing interventions for volunteers affected by breast cancer to take part in research studies assessing the effectiveness of cognitive and mental health interventions designed to promote resilience and well-being. Our research is funded by the ESRC and an ISSF/Wellcome Trust grant. Jessica Swainston is conducting research into building resilience in breast cancer on a 1+3 ESRC PhD studentship under the supervision of Naz. Our research serves three main objectives: Our first aim is to unravel the cognitive and neural mechanisms behind emotional vulnerability to anxiety and depression in breast cancer. Our second aim is to target those mechanisms through reliable adaptive cognitive control training interventions designed to boost resilience and psychological well-being and health in women affected by breast cancer. Our third mission is to understand how cognitive training paradigms can aid in the efficacy of treatments such as mindfulness and CBT that rely on processing efficiency. As part of our ongoing funded research we will publish news about recent research developments. We will promote ongoing interventions for volunteers affected by breast cancer to take part in research studies assessing the effectiveness of cognitive and mental health interventions designed to promote resilience and well-being. On October 19, 2015, our private psycho-educational support group was founded and provides a secure platform for members to engage in rich discussions on relevant research on the psychological impact of cancer diagnosis and treatment on cognitive health and emotional well-being in a guided manner. Our aim is to pave our pathway of well-being towards resilience and cognitive flexibility, to promote adaptability, strength and courage. Our group is diverse and our members highly supportive of each other. The group is open to women of any age and at any stage in their treatment, including women with a primary diagnosis of breast cancer, women with secondary breast cancer and those who have finished their treatment. 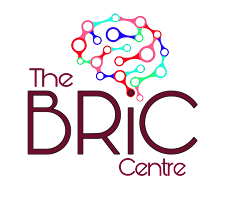 For World Cancer Awareness Day, February 4, 2016, we launched The BRiC Centre's Blog, ‘Panning for Gold’. The blog has been established to create a platform for sharing all the different ways that we learn to live with, and beyond, a cancer diagnosis, how we cope, through the highs and lows, the joy and the pain. It won’t be a surprise to hear that we are particularly interested in sharing and celebrating our resilience, but our hope is that the blog will be a space which reflects the many and varied experiences of women living with a breast cancer diagnosis. The blog is open to women of any age living in the UK, including women with a primary or secondary diagnosis as well as women who have completed their treatment.